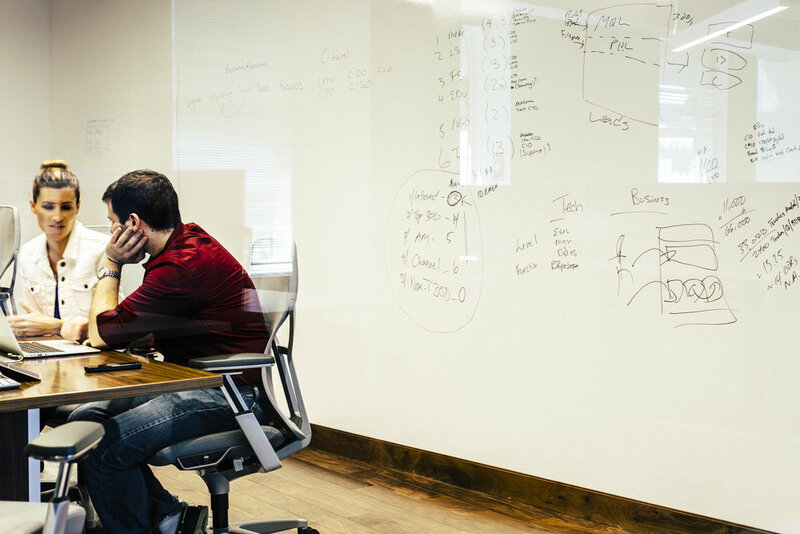 IdeaPaint is the creator of the high-performance dry erase paint category. Our products and accessories create dynamic, collaborative environments in corporations, educational institutions and much more. With IdeaPaint, you can turn any surface — painted wall, wood, metal, wallpaper, table, you name it — into a boundless, erasable canvas. IdeaPaint's premium dry erase paint is the gold standard for durability and performance. It is available in White and Clear — allowing you to select the colour of your choice. IdeaPaint Magnetic Primer is a breakthrough magnetic coating that is powerfully magnetic, versatile and perfect for commercial applications. Also available is the PULL system which pairs our dry erase technology with powerful magnetic functionality. Contact us for more information or to order a sample of IdeaPaint today. Our wood veneer is the highest quality pre-finished, fire rated available. It is also the most technologically advanced, being 3 times thinner than all competitors, and the most environmentally friendly with 300% greater yield than all competitors. If you are interested in a product not currently listed on our website, please contact us. Real Wood Veneer is the most cost-effective way to specify architectural grade wood. It’s Class-A fire rated (CAN ULC S102), pre-finished, applies directly to drywall and is available in all species, cuts and stains. WHAT MAKES REAL WOOD VENEER UNIQUE? Real Wood Veneer is the most economical way to get Architectural Grade wood veneer on a wall. Contact us for more information or to order a sample of Real Wood Veneer today. Learn more about Real Wood Veneers. See Samples of our Real Wood Species. 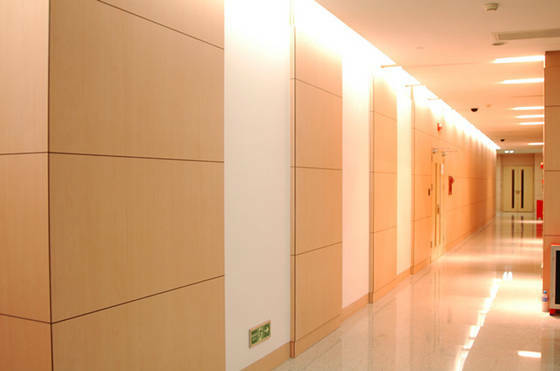 Ambienta uses a unique steel support system, enabling the incorporation of multiple panel finishes, dimensions and thicknesses all on the same wall, using the same hardware, and allows for each panel to be individually removed from the wall, resulting in a product that is unmatched in versatility and value. Contact us for more information or to order a sample of Ambienta today. Learn more about Architectural Panels. akustik+ is a high-performing, solid core acoustical solution, offering a wide range of perforation options, and an extensive range of finish options. It is available in panels, clouds and baffles that can be manufactured to custom dimensions. Contact us for more information or to order a sample of akustik+ today. 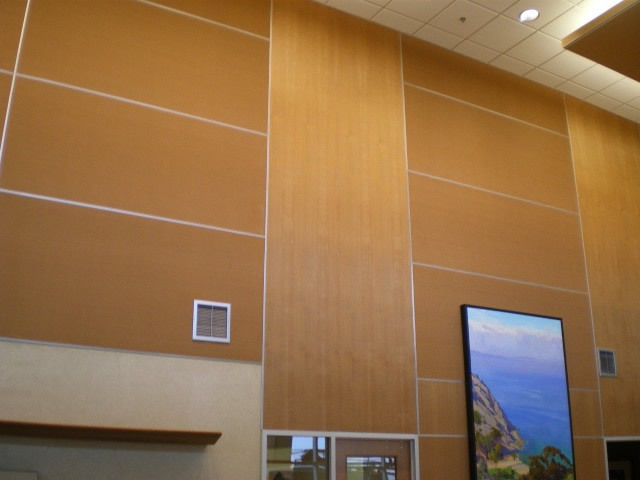 Learn more about Acoustical Panels. CompactWood is the most impact-resistant architectural grade wood solution available for both interior and exterior applications. The solid panels are manufactured from thermally fused materials that create a product that is UV, chemical and water resistant. Contact us for more information or to order a sample of CompactWood today. Visit the CompactWood website for more information.